Android 9 Pie brought a number of remarkable changes to the world’s most popular mobile operating system, but one of the biggest is the introduction of gesture navigation. However, even as gesture navigation becomes increasing more prevalent on both Android and iOS (read iPhone X), it continues to remain only an option on the former, with users still being able to use the traditional nav-bar at the bottom for all their navigational needs. That, however, may change with Android Pie, especially on the upcoming Pixel 3 devices. Speaking to Android Central in a recent interview, Google’s UX manager for Android (Handheld and Pixel), EK Chung, said that gesture navigation will not only be the default navigation option on the Pixel 3 lineup, but the only one. Current-gen Pixel devices, though, will mercifully retain the nav-bar even after updating to Android Pie. 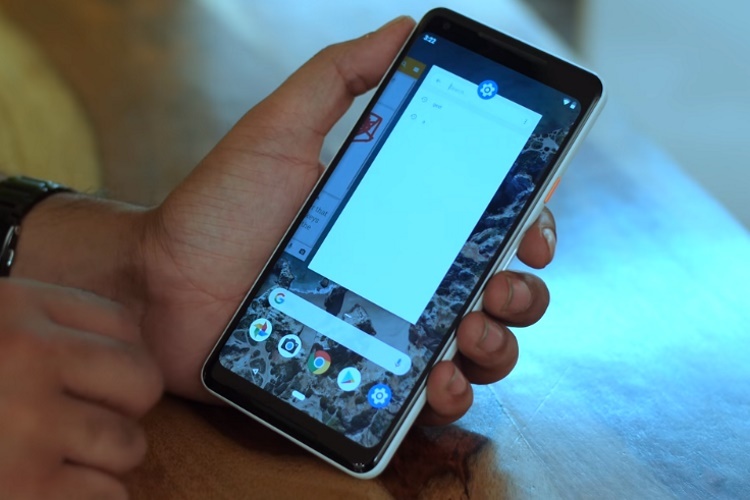 Considering that the implementation of gesture navigation on the beta versions of Android Pie has almost universally been panned by experts and enthusiasts alike, the lack of traditional nav bar may be a deal-breaker for many when it comes to buying a third-gen Pixel handset. Thankfully, though, Google doesn’t seem to be insisting that all its OEM partners also ditch the good old nav-bar in favor of gesture navigation – at least not yet. That being the case, manufacturers will have the option to either go all-in with gestures or stick to the familiar. Of course, they can also offer both, giving users choice, instead of using Google’s approach.